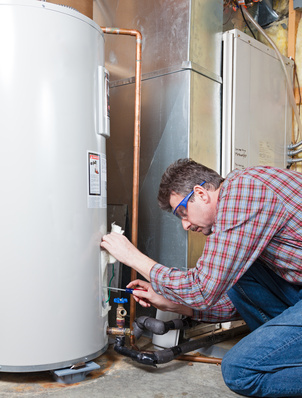 Your water heater is probably something you take for granted. When you want to take a shower, or when you want to do the dishes, there it is - all levels from luke warm to scolding hot, at your disposal. When your hot water heater is broken though, you really start to realize what a vital role it plays in your household. Here’s a few question to ask your plumber, when you’re considering having a new one installed. With all the factors to consider, and all of the statistics being thrown around, it's no wonder why this topic has turned into such a heated debate. You've probably worked up a sweat yourself, deciding just which option to go with. As you probably already know, there is no simple answer to the hot water question. Tankless has a high initial cost. You’re going to end up paying anywhere from $700 to $1,500 for the unit itself. On the plus side though, it's extremely energy efficient – you’ll end up saving around $70 to $100 on your annual energy bills. Sticking with a conventional tank may be a smart option too – for one, it’s definitely technology that you can rely on. Conventional water heater tanks can hold about 40 to 60 gallons of water, allowing your family to do things like take showers and wash the dishes, all around the same time. You’ll be saving a lot of money with a conventional system too – the unit itself only costs a few hundred dollars. 2. What are some more benefits of tankless? Energy efficiency and the idea of "green living," is a rapidly growing trend within the building industry - and for good reason, obviously. This is why the most popular energy-efficient water heating system on the market currently, is the tankless water heater. Unlike the conventional option, the tankless system does not heat up stored water, waiting to be used. Rather, it senses the flow of water, when a shower or sink knob is turned, and instantly begins the heating process by gas or electric means. Because water is only being heated when there is a demand for it, the tankless system uses 10-20% less energy than its conventional counterpart. As a result, the tankless system reduces water heating bills by about 10-20%, as well. Apart from a few shortcomings, there are so many additional reasons why you should seriously consider going tankless. Simply put, the tankless heater is a good investment. On average, it will last upwards of 20 years, which seems to be twice the life of the standard option. Although it's true that there are large "whole house units," generally speaking, tankless water heaters tend to be the size of an average suitcase, or smaller. Often times, they can be installed underneath the sink or even attached to the wall in the shower. Additionally, the adoption of a tankless heater frees up a great deal of space, previous occupied by a big, bulky tank. 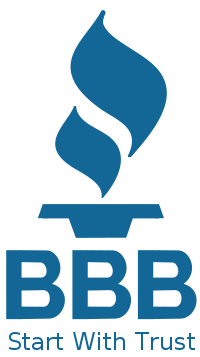 Because they are so energy-efficient, the federal government has established tax credits for purchasing and installing tankless water heaters, under the "Emergency Economic Stabilization Act of 2008." If you purchase an eligible tankless unit this year, you will be able to claim it on your 2010 taxes. Perhaps the most blatant and immediately noticeable benefit to the tankless heater is its temperature compensation ability. As you most likely know, the temperature and pressure from a conventional water tank, decreases with continuous use. With the tankless system, however, various valves inside the unit work to stabilize these elements, creating an endless flow of hot, pressure-filled water. 3. What are the further downsides of tankless? Although the tankless system is good for the environment, and might save you a great deal of money in the long run, it would be unfair not to mention some of its drawbacks. The initial cost of a tankless system can be as much as 5 times more than a conventional one. Furthermore, the installation cost tends to be higher than that of the tank system, too. Another one of its down sides is that it might need a bit of "looking after." Many industry experts recommend that a qualified technician, to inspect for calcium build-up and other issues, check it annually. Installing water softeners is recommended to remedy this, but they obviously aren't free. According to ConsumerReports.org, a consumer paid $334 for special valves, and for a plumber to wash out their tankless heater with vinegar, after having dealt with calcium build-up. Consumer Reports also found that tankless system don’t always have an endless supply of hot water, and that you may experience a moment of coldness, while taking a hot shower, for instance. 4. What are the reasons I should stick with my conventional type of tank? Many experts argue that the tankless' high initial cost, is a solid enough reason not to purchase one. It can be said that with the tankless system, it would take 22 years of use, just to break even. The conventional units are seen as proven technology that most people know and trust. It's a generally reliable system that has been around for years. Many people have a strict adherence to convention, and some tank brands are running with this idea - now offering energy efficient alternatives to older standard tanks. According to Builderonline.com, conventional tanks now qualify for Energy Star Certification. 5. How long will it take to replace my old water heater with a new one? A licensed plumber will arrive at your residence, do a quick inspection of your current set up, and begin the process of removing your old heater. Removing the old heater will take a surprisingly long time - around an hour. There are actually numerous steps involved in this procedure, many of which involve sheer safety matters. These steps include disconnecting the power source, draining the tank, disconnecting the water supply lines, etc. Next, they'll position the new water heater in place - which will take around a half hour. Here, they'll do obvious things like bringing it in from their truck, and removing it from the box. And finally, the actual connected of the heater system will get underway. Once in position, the take needs to be attached to the appropriate power sources and water lines - if it's a gas unit, you can expect it to take a bit longer. Subsequent to the installation, your plumber will test the system and adjust its settings to make sure it's working in the best possible way with the plumbing in your home. Another question to ask after the set up, is how can maintain the system yourself. Your plumber will then show you the knobs on the system, which control water temperature (if you want a hotter shower, or hotter water to wash the dishes). Your plumber should also show you simple things, like how to turn the system on and off.